Matt Crafton, driver of the No. 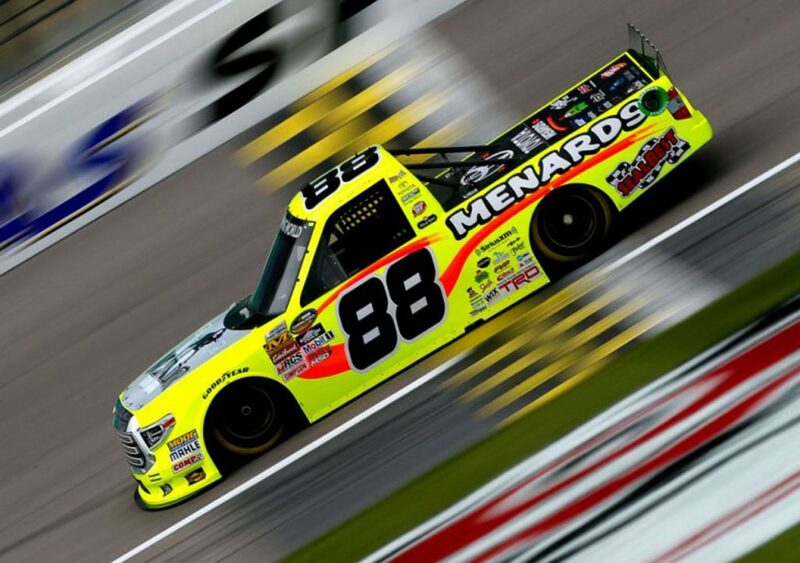 88 Matador/Menards Toyota Tundra made his 17th career start at Kansas Speedway in Friday night’s NASCAR Camping World Truck Series (NCWTS) Toyota Tundra 250. Starting second, the two-time Kansas Speedway winner complained of a free Toyota Tundra on entry into Turns 1 and 2 throughout the 167-lap event. Making several big swings on pit road to aid in the handling, Crafton finally reported that his Tundra was “drivable,” with 60 laps remaining. Unfortunately, while running inside the top-five, the ThorSport Racing driver would go for a spin on lap 135, bringing out the 11th and final caution of the night. 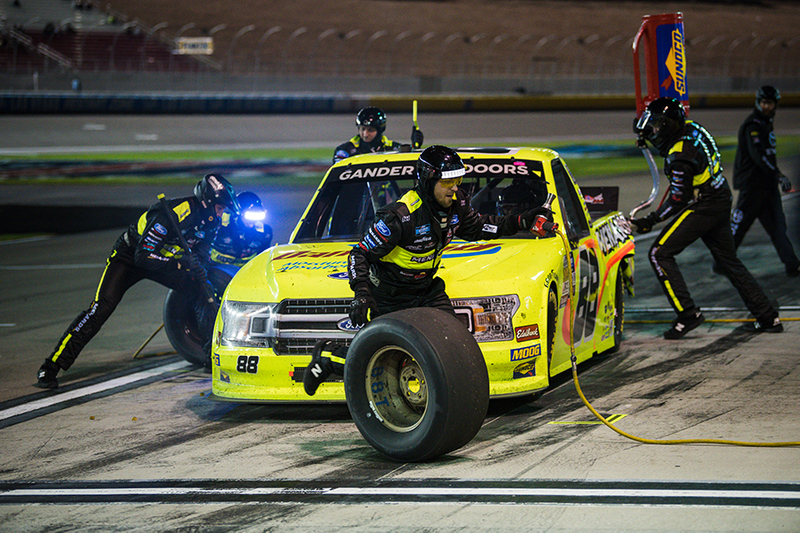 Crafton would make his way down pit road for tires and restart 15th with 21 laps remaining. However, misfortune would continue for the Menards driver. After making his way back inside the top-five, a right rear flat would force the No. 88 machine back down pit road, under green, with less than 10 laps remaining. Crafton would settle for a 16th-place finish behind race winner, Kyle Busch. 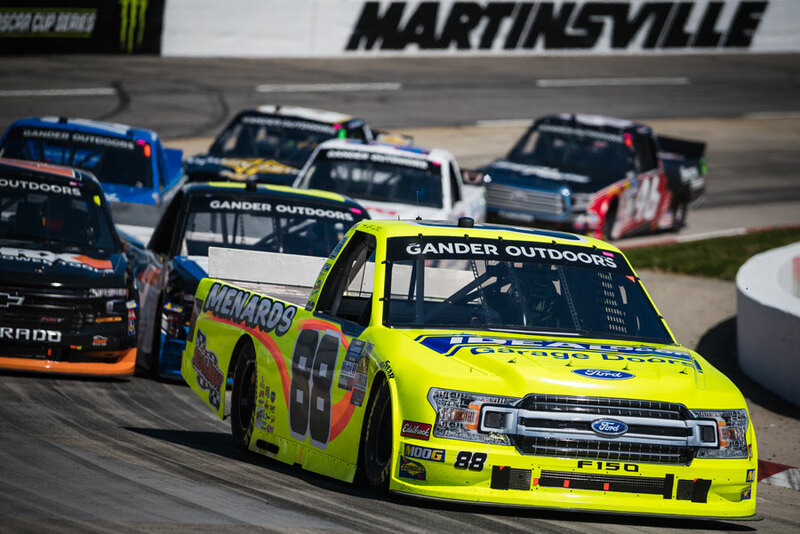 The NASCAR Camping World Truck Series (NCWTS) had two practice sessions on Thursday afternoon in preparation for Friday night’s Toyota Tundra 250. Matt Crafton was fifth and second-quick, respectively, in both practice sessions. 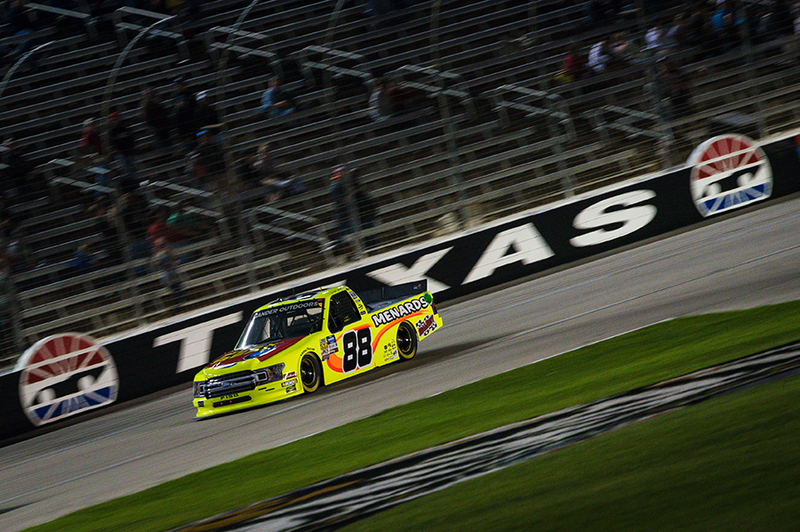 Friday night’s Toyota Tundra 250 marked Crafton’s 17th career start at the 1.5-mile track. Starting second, Crafton ran as high as first, but finished 16th in the 167-lap even due to a late-race spin and flat right rear tire late in the 167-lap event.  The ThorSport Racing driver earned bonus points in Stages 1 and 2 at Kansas Speedway for finishing inside the top-10. In 17 starts at Kansas Speedway, Crafton has led 106 laps in route to two wins (2013, 2015), five top-five and eight top-10 finishes. In four starts in 2017, the Menards driver has led three laps en route to one top-five (Atlanta), and two top-10 finishes. In 388 career starts, Crafton has 12 poles, and has led 2138 laps en route to 13 wins, 98 top-five, and 228 top-10 finishes. Crafton’s ThorSport Racing teammates finished 11th (Enfinger), 23rd (Rhodes), and 26th (Coughlin). Up next: The Education Lottery 200 at Charlotte (NC) Motor Speedway on Friday, May 19.